Today is the anniversary of Virginia Woolf's death in 1941. 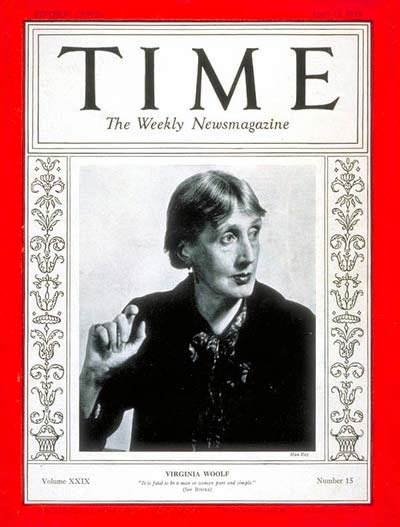 Tomorrow, I defend a doctoral dissertation with a chapter on Woolf's 1937 novel The Years, and I have spent much of last few years studying Woolf's writings and life in the 1930s especially. Here, a few thoughts on that. 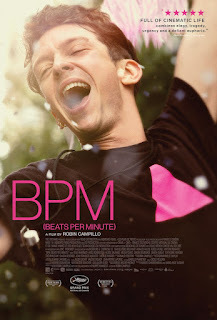 BPM: Beats Per Minute (120 battements par minute) tells the story of AIDS activists with ACT UP Paris in the 1990s, and its scenes of ACT UP meetings are among the most compelling representations of everyday political planning and argument I know of other than the extraordinary land reform debate scene in Ken Loach's Land and Freedom. (There's also a powerful debate scene in Loach's later The Wind that Shakes the Barley, but Land and Freedom is even more remarkable in my eyes because it so patiently dramatizes a kind of conversation rarely even imagined by most of its likely viewers. Almost any other director would pare such scenes down to soundbites, but Campillo lets us watch discussions play out and doesn't simplify the arguments into pro/con battles. We see the characters react, think, respond.